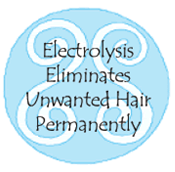 Electrolysis - Permanent Hair Removal for over 130 years. If you're new to electrolysis and would like to learn more, we have both a Frequently Asked Questions page as well as an introduction to electrolysis. You may also browse the OALE member directory to find an electrologist in your area. at the Monarch Hotel and Conference Center. to get the special membership rate. Become a member today! Save money on Seminars! The Oregon Association of Licensed Electrologists, Inc. (OALE) was founded in 1972 to further the continuing education of electrologists. It provides interaction and communication through member newsletters and seminars for all electrologists. On a national level, OALE is an affiliate of the American Electrology Association (AEA), participating in its meetings and sharing its information with our members. OALE has promoted state licensing and further supports its members adhering to the national standard for sanitation and for professional practice. OALE is a resource to the public and to physicians for information on permanent hair removal.